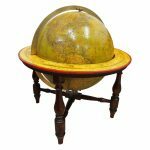 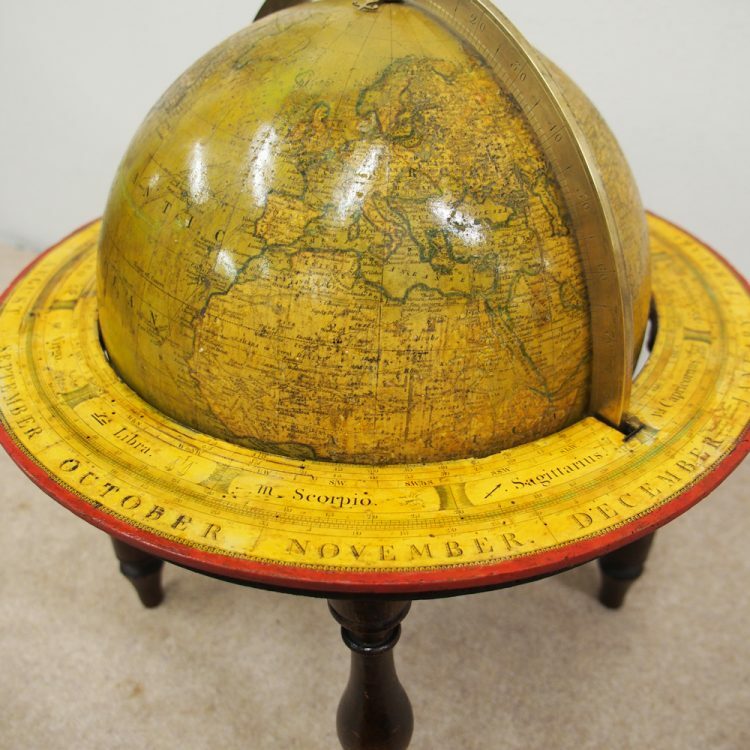 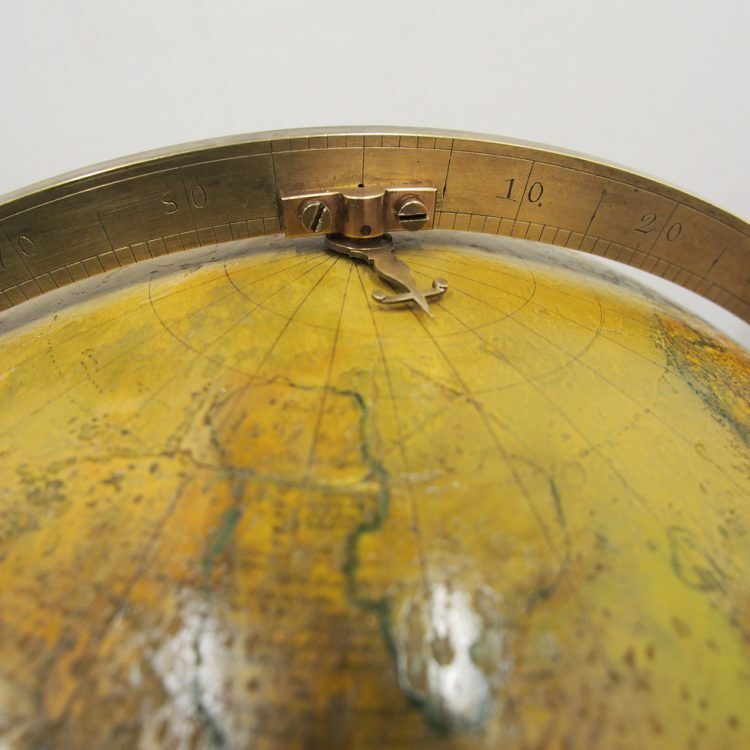 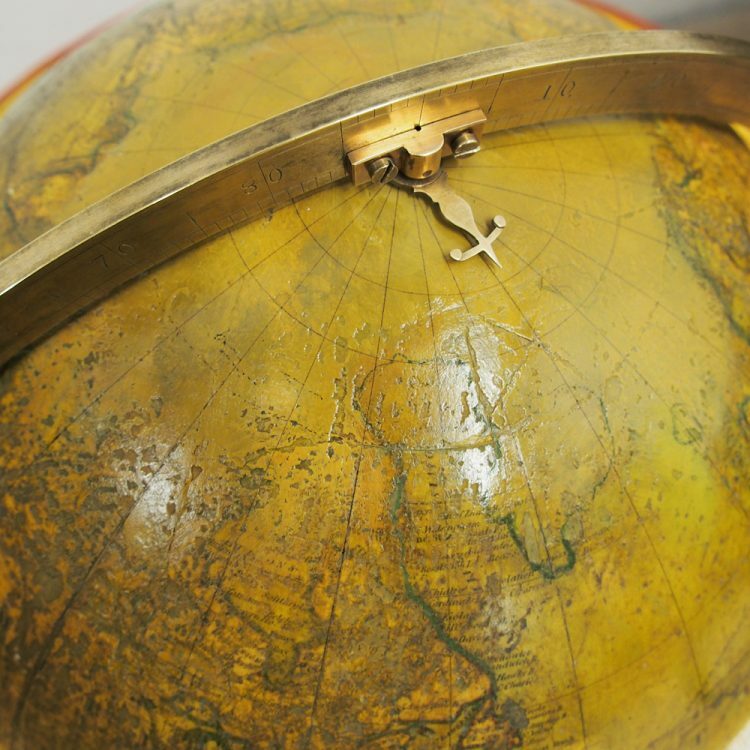 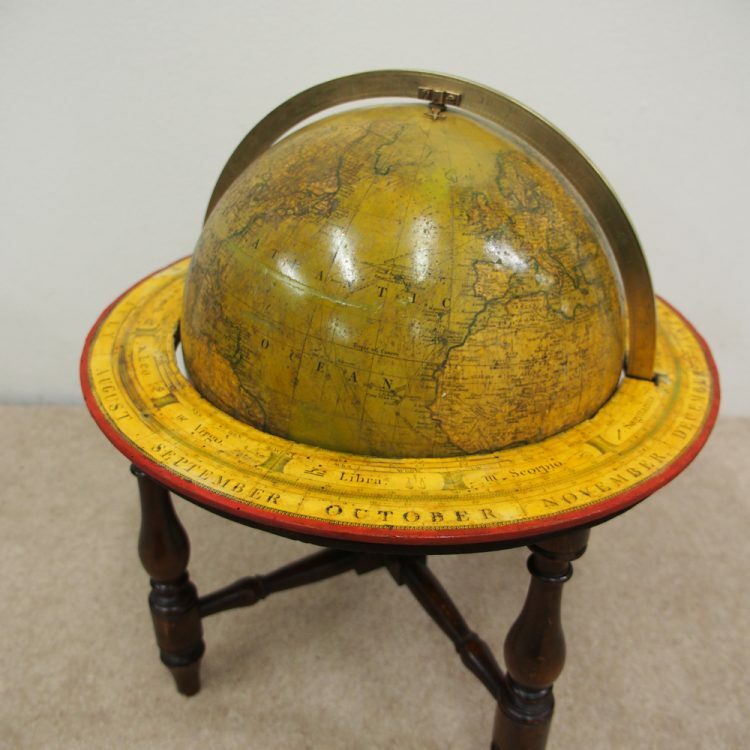 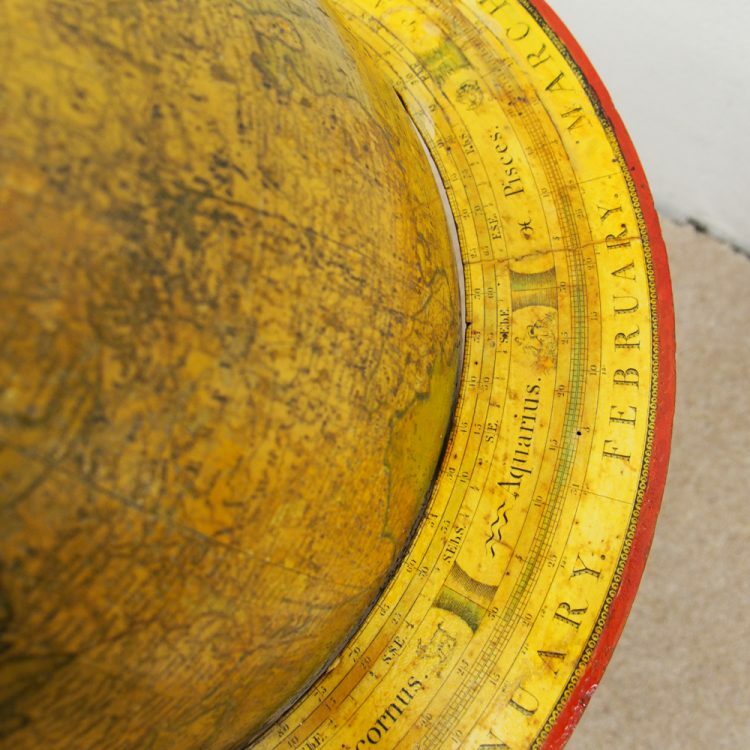 Circa 1830, table top terrestrial globe (with later restorations). 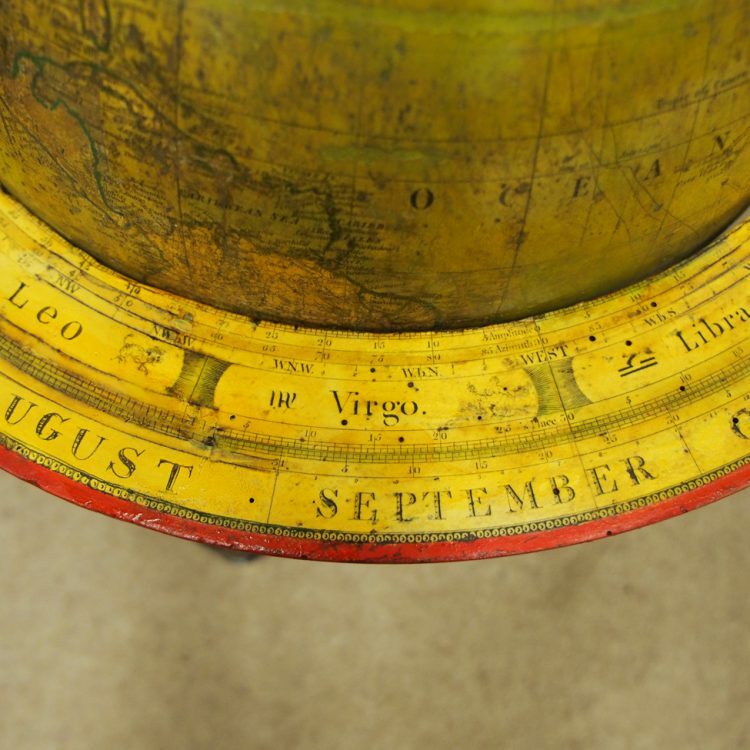 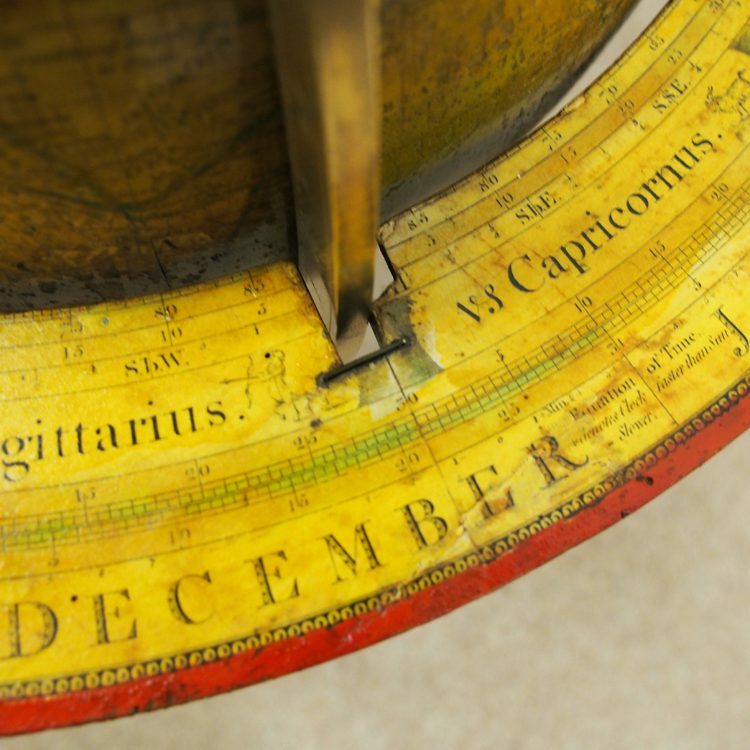 The globe is held in place by a brass ribbed bezel, allowing rotation and the frame has months, other signs of the Zodiac and numbers to the underside. 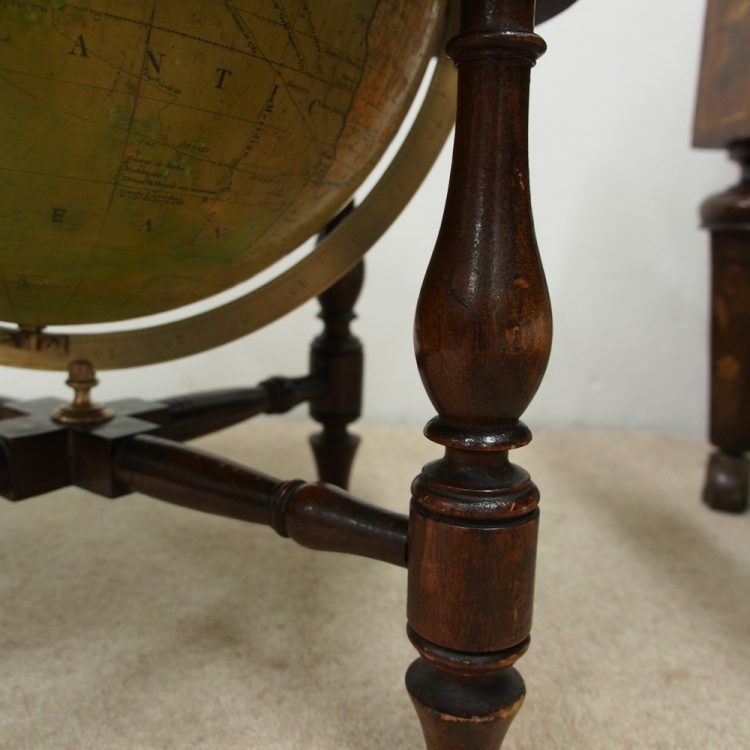 Beneath this are 4 turned legs with a cross over stretcher. 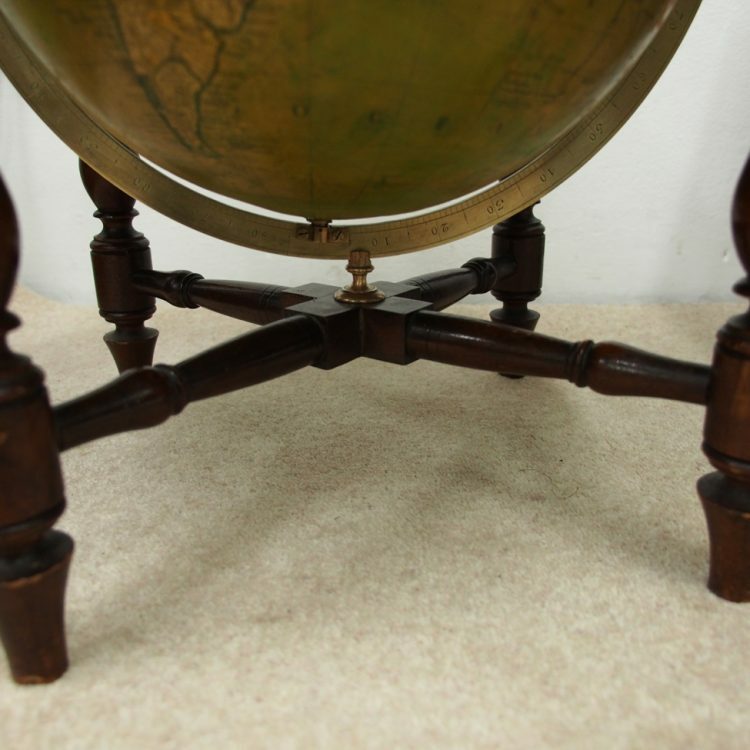 The centre of the cross over stretcher has a small brass stand. 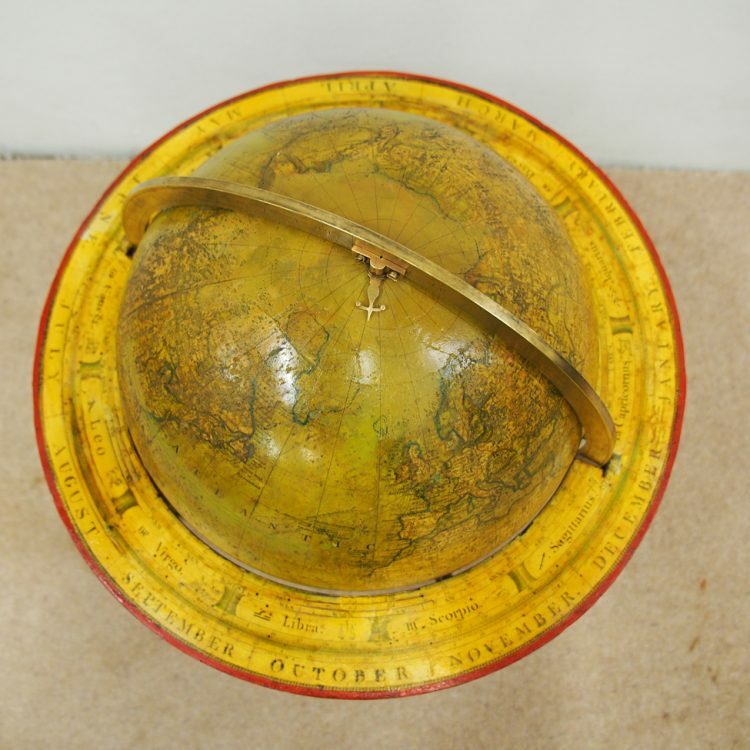 An interesting, restored globe on stand.